Beacon Fell summit. Coniston Water behind. 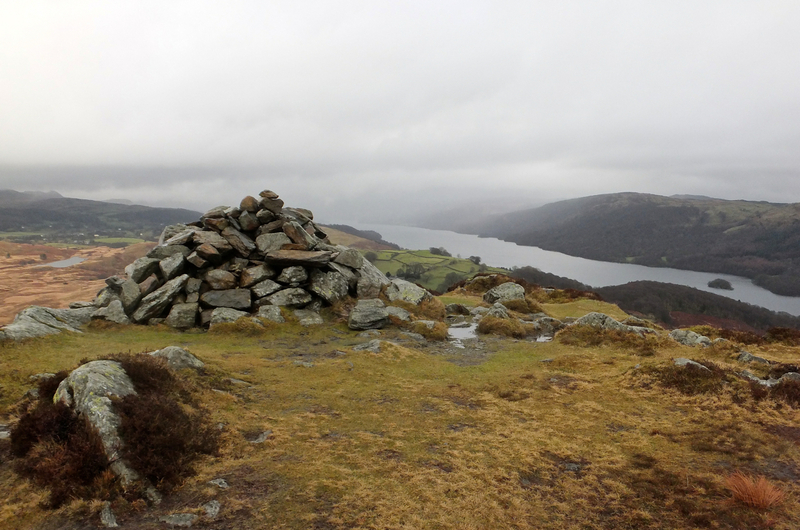 Summits: There is only one fell in the chapter, Beacon Fell at 836 feet above sea level. Volume: Book Eight (The Outlying Fells). Date bagged: First visit: 17th January 2014 (walk 78). Second visit: 9th August 2017 (walk 135). Route of ascent and descent: First visit: Came up from the Brown Howe car park, the route described on page 99 of volume 8. 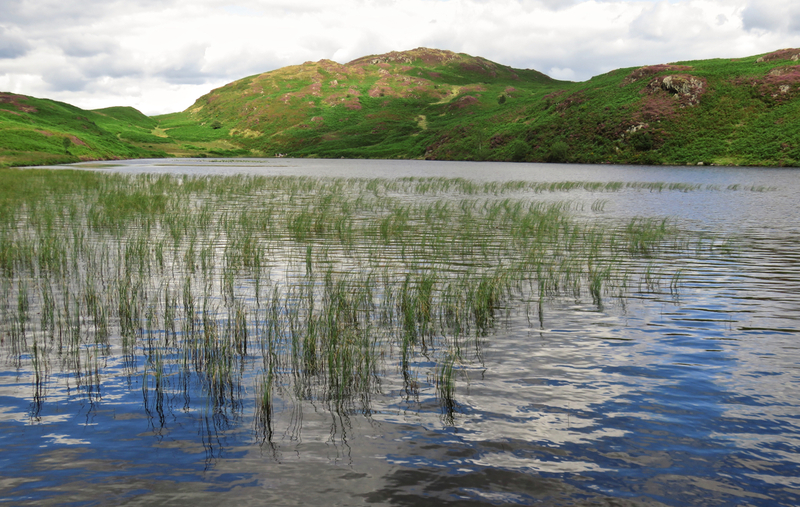 Left down to Beacon tarn as noted in the book but then went on to Yew Bank in the Woodland Fell chapter — which I do not really recommend. Second visit: Came up from Beacon Tarn, descended to the road and then on to the Sunny Bank landing stage on Coniston Water. What I say: Yes, Beacon Fell was a nice climb, one for the whole family from 4 to 80 I would think. It looks attractive from each side as well and does give a good show of a mountain in miniature. Worth a visit, but bear in mind you will be up to the summit from the car park at the bottom within an hour, even if you take it easy. 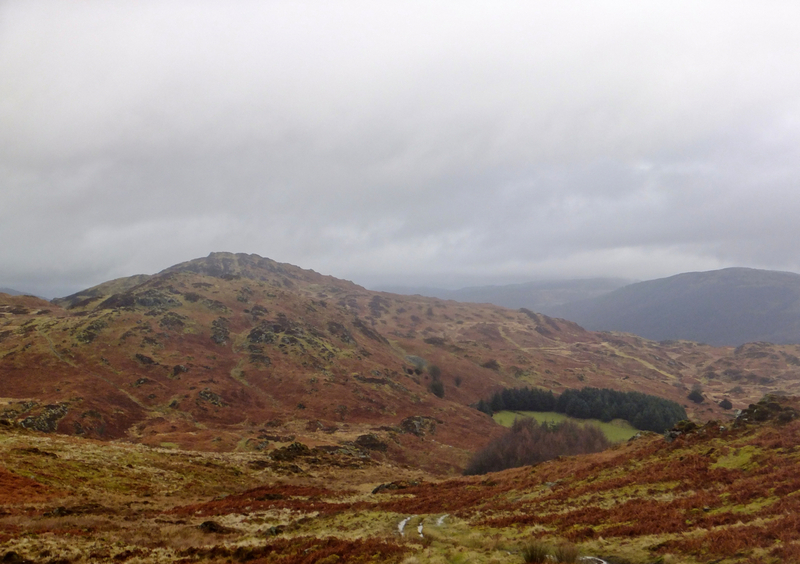 Combine it either with a walk along the Coniston Water shore and/or exploration of some of the other low fells in the vicinity — but don’t attempt the crossing over to Yew Bank (Woodland Fell) from here, which is really cruddy terrain.